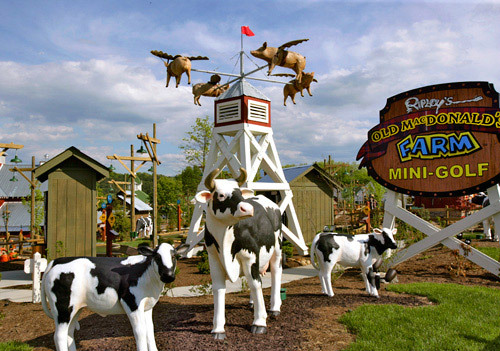 Pigs really do fly at Ripley’s Old MacDonald’s Farm Mini-Golf! Enjoy 54 amazing holes of interactive barnyard family fun! This course is full of interactive displays, lots of water features, and animated characters throughout. 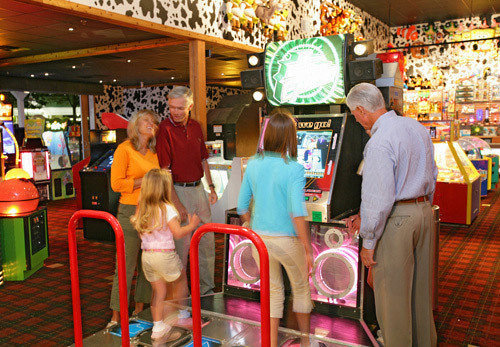 Plus…a barn-full of the latest, state-of-the-art arcade fun, coolest prizes in town! Also, savor the sweetness of Ripley’s Candy Factory! 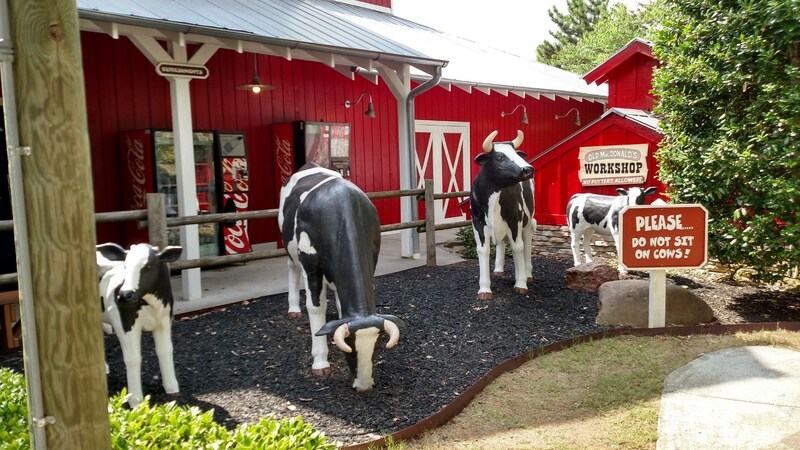 54 amazing holes of interactive barnyard family fun. 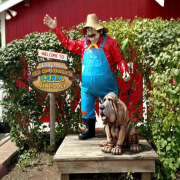 Located near Tanger Mall, Joe's Crab Shack and Red Lobster. 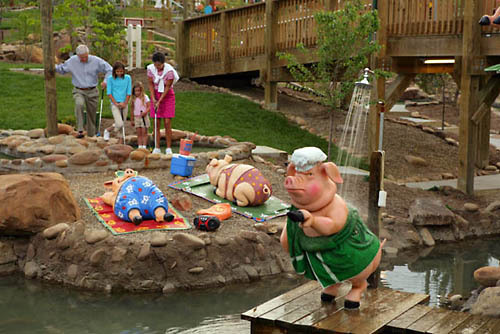 Pigs Really Do Fly at Ripley’s Old MacDonald’s Farm Mini-Golf! 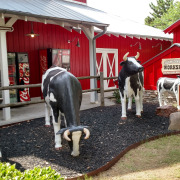 54 Amazing Holes of Interactive Barnyard Family Fun! Interactive displays, lots of water features and animated characters throughout. 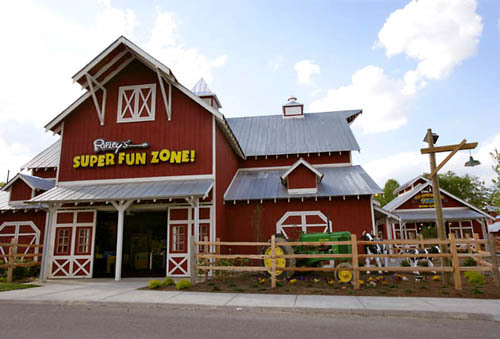 Plus…a barn-full of the latest, state-of-the-art Arcade Fun, coolest prizes in town and Ripley’s Candy Factory! Located at the entrance to Tanger Five Oaks Outlet Center. How many holes are available to guests? 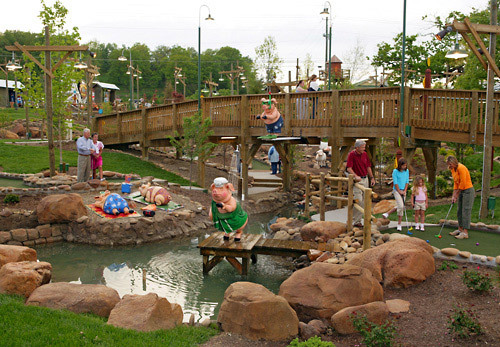 The course boasts 54 different mini-golf holes to choose from and play. 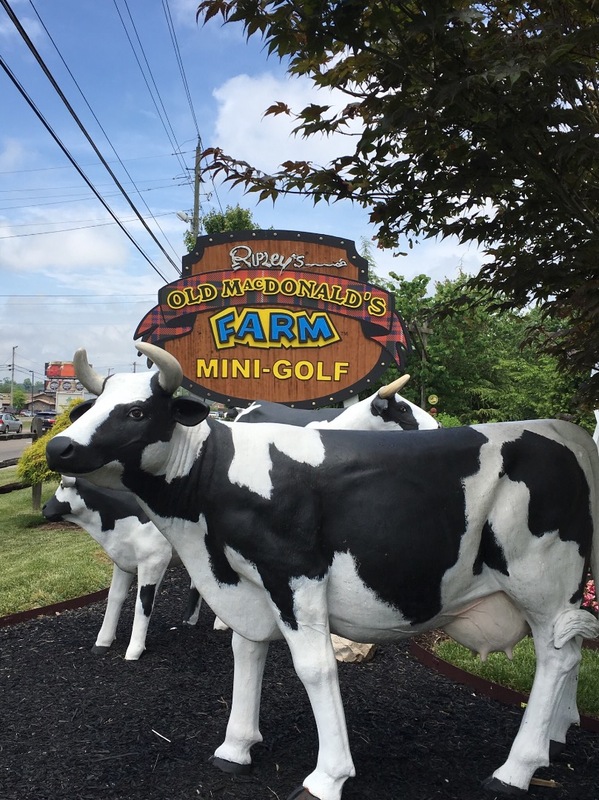 Ripley’s Old MacDonald’s Farm Mini-Golf is open Sunday through Thursday from 10:00 am – 11:00 pm, and Friday through Saturday from 10:00 am – 12:00 am. In the case of unforeseen or severe weather conditions, hours of operation are subject to change. 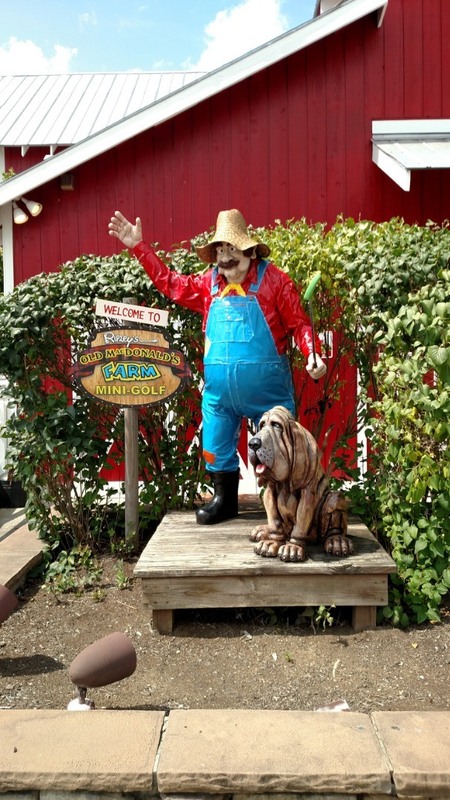 Where is the mini-golf course located? 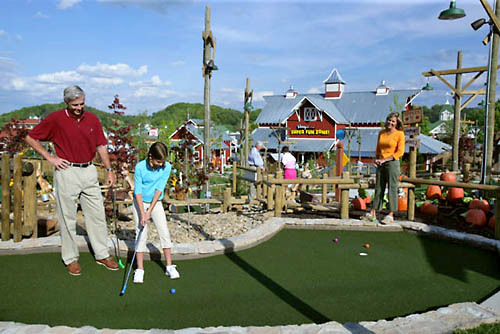 The course is located at 1639 Parkway, Sevierville, TN 37862.